"Something weird!" is the route request, as Cait and Kristin and I debate which way to trek in the darkness this morning. We rendezvous before dawn in Tysons Corner, since locker rooms are temporarily closed at our usual location. Maps hint at paths in the woods of Old Courthouse Spring Branch Park. Westward ho, seeking adventure! Much meandering soon ensues. A somewhat-sketchy overgrown trail looks tempting, but a soggy stream crossing deters us from taking it Neighborhood streets lead to the other side of the same mini-jungle a few miles later. A local dog-walker encourages further search, as do five big deer at the end of a cul-de-sac. But again, recent rain suggests that sidewalks are a better choice today. 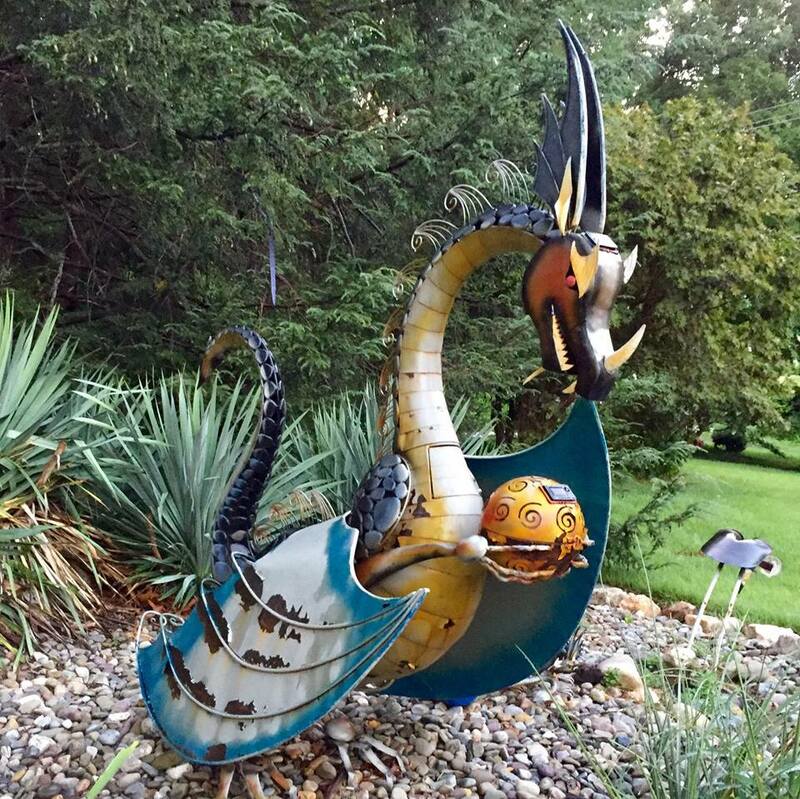 Front yard dragon sculpture demands a pause for photography.